BMW always produced well-admired cars and it remains in status quo condition in the market due to its performance and dashing looks. There are many probes famous about the Beemer and its drivers in the UK. The BMW 3 Series is one of the most admired model series comes in compact saloons and standard saloon vehicle models. Any model code starts with number 3, is definitely the member of 3 series. The pick of the bunch is BMW 320d saloons in the UK market. This model is one of the greenest vehicles in the 3 series. BMW 320d engines are just awesome power units. It always remained a driver’s car since its launch and has a desirable-looking body shape. This is the one that feels sportier, premium and luxurious inside as well. The 3 series offers large room for the family and it is one of the well-equipped vehicles where it offers sat-nav as standard along with a massive list of other gadgets and features to assist and help the driver. As it is described that the 320d always remained driver’s car, It promises an estimated fuel economy of just under 70 miles per gallon but during the real-time testing it has delivered around 62 miles per gallon on average and just under 70 miles per gallon while cruising on the motorway. A wide range of engines offered on the 3 series but the 320d diesel version comes with single engine option which is a 2.0-Litre diesel engine cranks 181bhp with a great blend of performance and refinement. The running costs at the same time have no comparison to its competitors. The 320d engine comes with anti-friction bearings, which help in lowering the internal friction and improves the fuel economy, common rail direct injection fuel delivery system further enhances the system performance by precisely regulating the flow of the fuel into the combustion chambers. This four-cylinder engine is well admired in the UK and Europe connected to the most modern turbocharging technology now in the new vehicles. A six-speed manual transmission has been coupled to the engine as standard however an eight-speed automatic transmission is also available as an option. 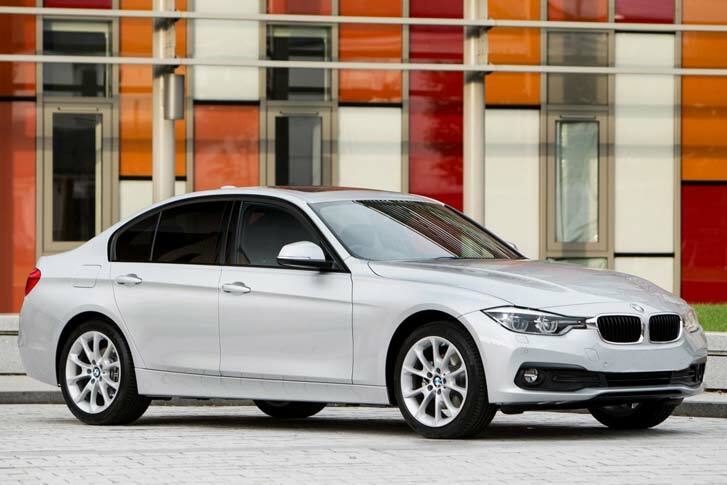 The BMW 320d reconditioned engines also offer refined 187bhp and 295 lb-ft of torque. But these performance figures are still very good and engines deliver an excellent mid-range punch to get control of the cross country roads. It shows real energy, the way it pushes on the road and returned a pep up throttle response. Overall, the 320d is one of the most comfortable, enjoyable to ride, satisfying and the most rounded compact executive saloon in the UK market. It always remained at the top of the choice list of the buyers who are after a premium executive saloon. It has a lot more to justify its top position and immense popularity and it tells the tale when someone gets behind the wheel. Its more than 40 years now since the 3 series is leading the market ahead of a serious quality competition from makes like Jaguar, Mercedes, VW and Audi in the UK market. There are Alfa Romeo Giulia, Lexus IS, Jaguar XE, Mercedes C-Class, VW Passat series, Ford Mondeo, Mazda 6, Audi A3 and A4 series, Infiniti Q50 and several other mainstream models are competing the model and giving BMW a really tough time. But still, in the UK market, BMW has a bigger chunk of the pie with its bigger, bolder, refined body and faster engines.